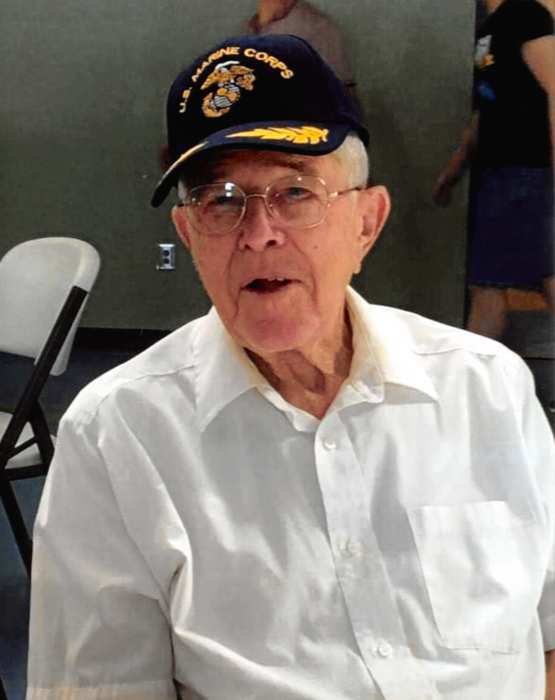 Thomson, GA- Mr. Arthur Don Watkins, 88, entered into rest July 18, 2018. Mr. Watkins was born in Salt Lake City, Utah to the late Arthur Beachum Watkins and the late Wanda May Saville Watkins. He served in the U. S. Marines for 15 years and retired as Southeastern Manager for Hess Oil Company after 25 years. He lived in Thomson since 1985 and was a member of Sweetwater Baptist Church. Mr. Watkins loved fishing, hunting, golfing, camping and traveling. In addition to his parents, Mr. Watkins was predeceased by his wife, Melba Watkins and son, David Watkins. Survivors include his son, Ronnie Watkins; daughters, Wanda Vanderworken and Sharon Stange; step sons, Steve Fountain and Wayne Fountain, sister, Juanita Mori and 8 grandchildren and numerous great grandchildren. Funeral services will be held at 2:00 p.m. Saturday, July 21, 2018 in the chapel of Beggs Funeral Home with Rev. Mark Bowers officiating. Interment will follow at Savannah Valley Memorial Gardens with military honors. Beggs Funeral Home, 799 Cobbham Rd., Thomson, GA is in charge of arrangements.